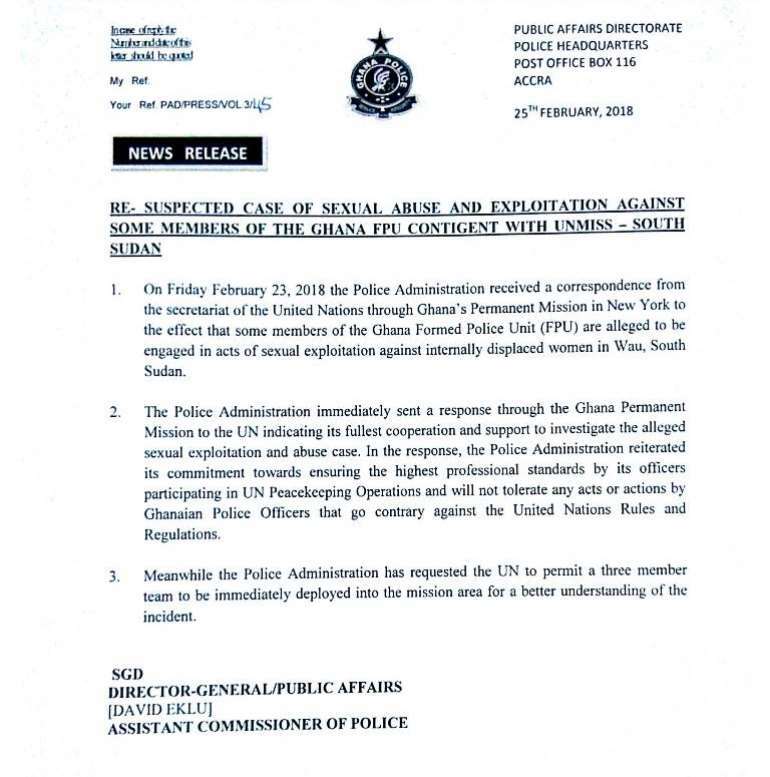 The Ghana Police Service has promised strict sanctions against 46 of its personnel recalled from UN mission in South Sudan if allegations of sexual exploitation against them are proven. Director of Public Affairs at the Ghana Police Service, ACP David Eklu, said even though the allegations have not been proven, the scandal will dent the image of the police. “This is not a good report at all. We are deeply disappointed by the report. Even the mere fact that Ghanaian policemen who have set high standards in all our peacekeeping missions over the years have been mentioned in this very serious allegation is a cause of concern, it is a big blow to us,” ACP Eklu said. 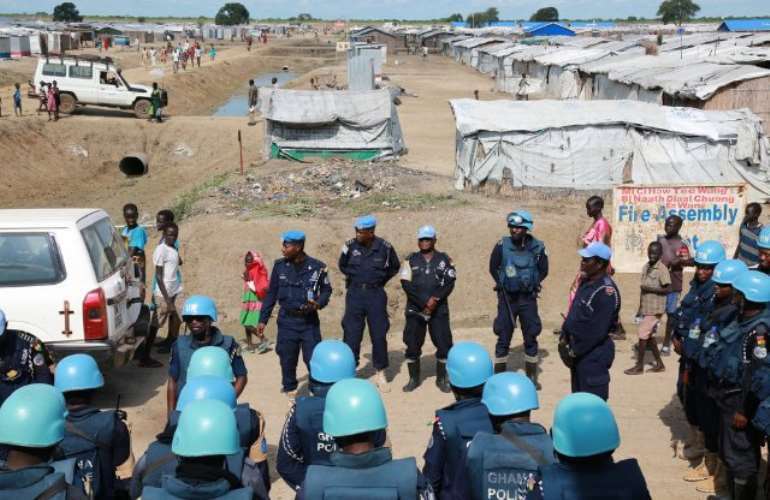 The police unit working with the UN peacekeeping mission in South Sudan was recalled from Juba on Saturday, as allegations of sexual abuse against them were kick-started. This was after an investigation was launched into a complaint that members of the unit were having sexual relations with women living at one of its protection camps. 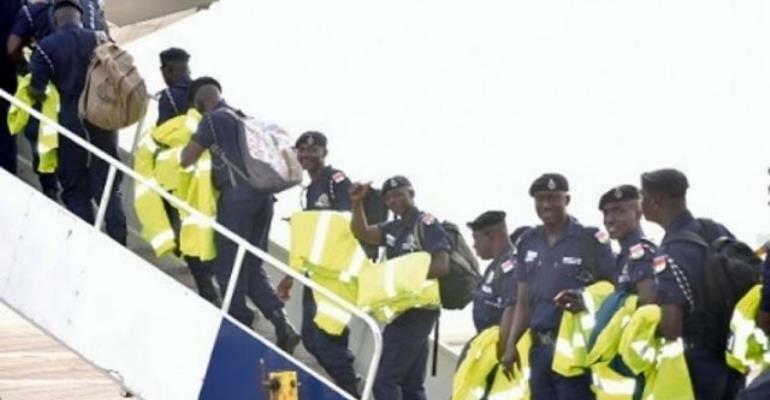 Commenting on the matter, ACP Eklu revealed that based on an agreement between Ghana and the UN, if the personnel are found culpable, they will be repatriated from the mission and will also not have the opportunity to participate in any future peacekeeping missions. “When they come back they are also likely to face internal disciplinary procedures for putting the image of the Police Service into disrepute,” he told Joy News. Meanwhile, UNMISS has said it has informed the UN headquarters in New York of the allegations, which in turn notified the Member State that the matter was being investigated by the United Nations. It was emphatic, there is no indication that this behaviour is more widespread within the Mission comprising over 17,000 peacekeeping personnel including 13,000 soldiers and 1500 police officers. Read a statement from the Ghana Police Service in reaction to the allegations.